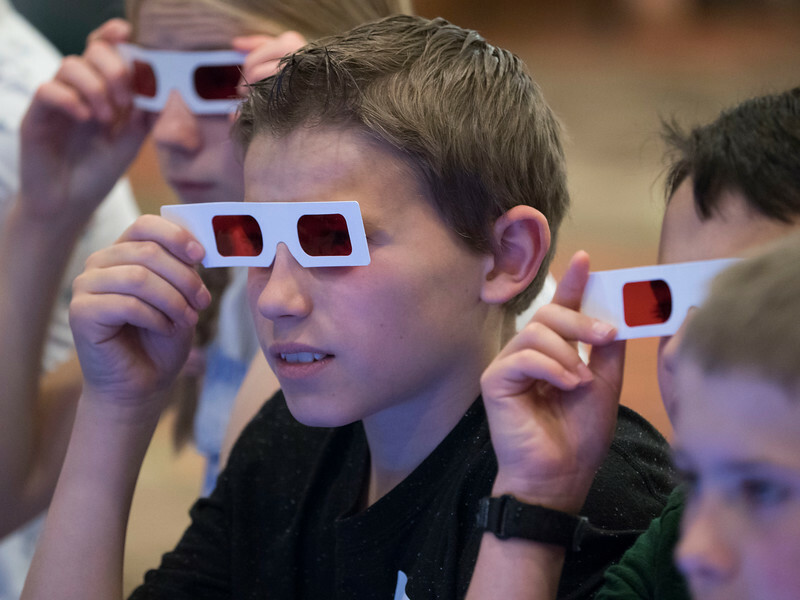 Denver, CO - AAS 2018 - Attendees during the Local Student EPO Event Hands-on Activities at the American Astronomical Society's 232nd meeting at the Sheraton Denver Downtown Hotel in Denver, Colorado, Tuesday June 5, 2018. The AAS, established in 1899 and based in Washington, DC, is the major organization of professional astronomers in North America. More than 500 astronomers, educators, industry representatives, and journalists are spending the week in Denver to discuss the latest findings from across the universe. Photo by Phil McCarten/Corporate Event Images, © 2018 American Astronomical Society.